It all started with Prince Louis’ christening, then there was the RAF Service, and then Meghan Markle joined her husband, Prince Harry, for their official visit to Ireland. All in all, it’s been quite a hectic week both for Kate Middleton and Meghan Markle. Nevertheless, the duchesses have shown themselves in the best light possible. They totally stole the show at 100 years of Royal Air Force celebration. 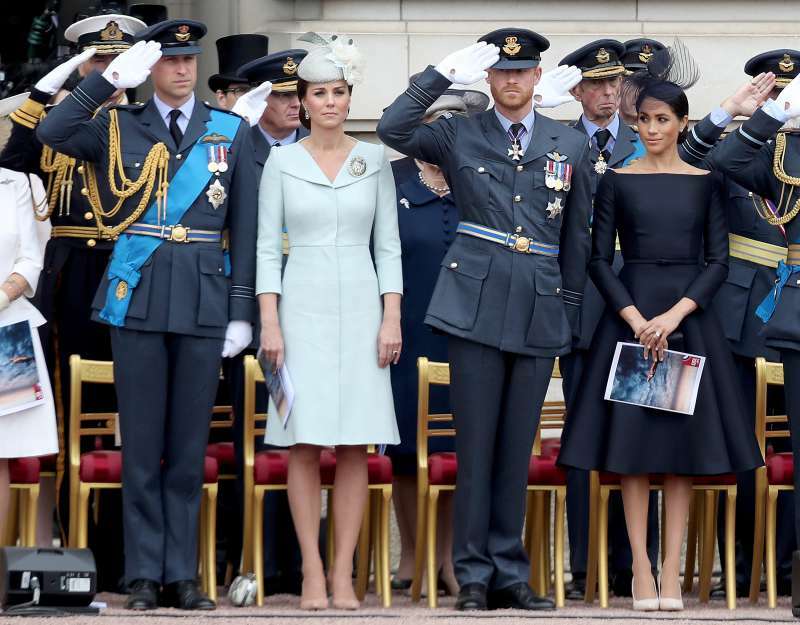 Both couples looked just stunning, and the wives of Prince William and Prince Harry were hard not to notice in their stylish outfits. The Duchess of Cambridge is a Wimbledon patron and it was hard to imagine such an event without her presence. 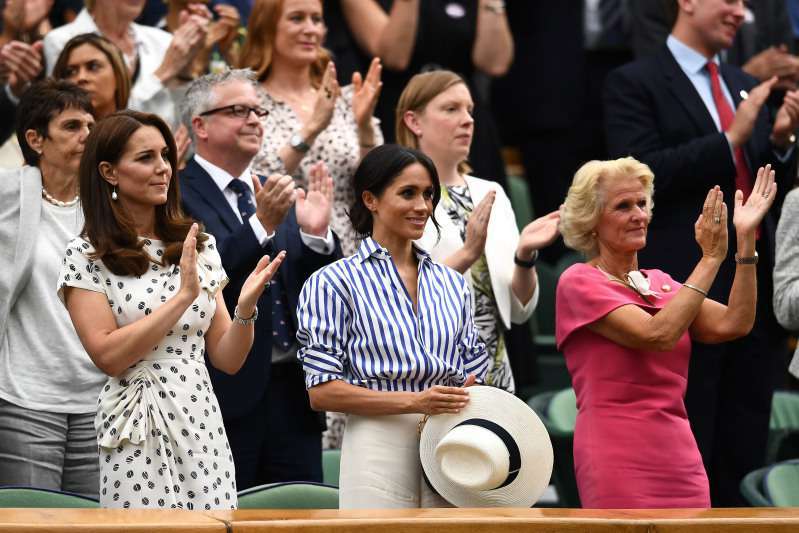 What is more, Kate Middleton has been joined by The Duchess of Sussex for the Ladies' Singles final. — Kensington Palace (@KensingtonRoyal) 14 липня 2018 р. It was the first time the duchesses have appeared in public without their husbands. However, they didn’t look sad at all. 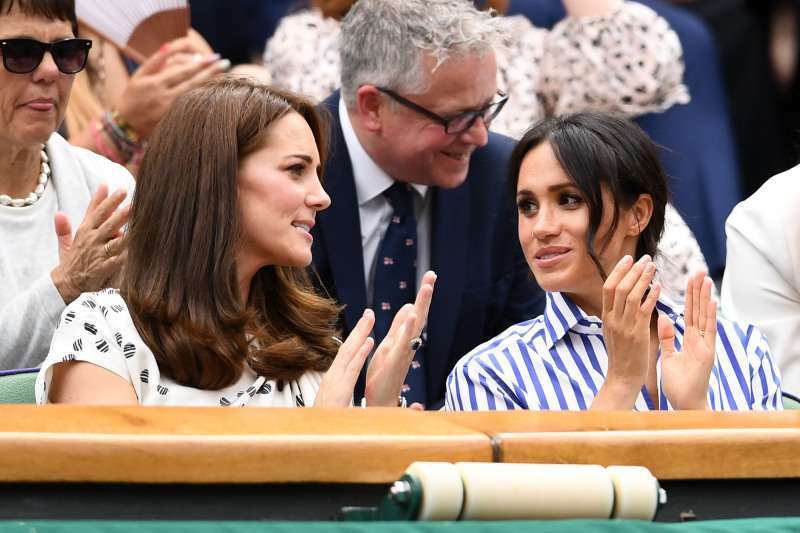 On the contrary, Kate Middleton and Meghan Markle seemed to have a lot of fun together watching the final. What is more, together they went to meet ball boys and girls, wheelchair competitors and junior players before the final started. READ ALSO: Queen Doesn't Want To See Meghan Markle At The King And Queen Of The Netherlands' State Visit. What Did She Do This Time? 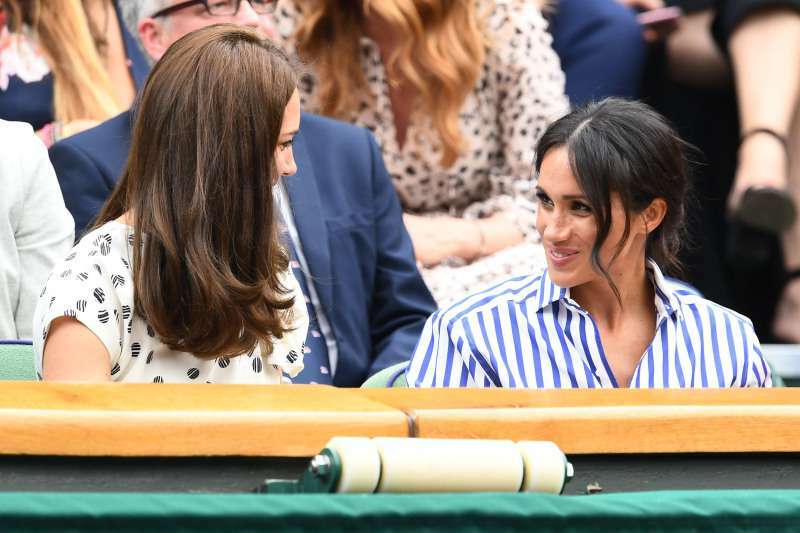 It’s not a secret people just adore both Kate Middleton and Meghan Markle, and people have proved it once again with their Twitter comments. Duchess Kate radiates relax vibes, as always stunning with her perfect bouncy hair while meghan’s unkempt dry hair and clothing makes her looks like a nanny beside Kate. — Wittythinkertalks (@wittythinkerby) 14 липня 2018 р. Can't start the day without bad mouthing someone I see. Both Meghan and Kate are Shining and seem to enjoy each other company, good for them. — Meg (@Meg59723278) 14 липня 2018 р. — Scorpion 🦂 (@Princesnr316) 14 липня 2018 р. Some of them admired the way two women looked, while other felt Kate was more relaxed than Meghan. — akazarama (@Cismos91) 14 липня 2018 р. Girls day out. Lovely! Who doesn't love getting out with your girlfriends, even if they are relatives? — Melissa Balan (@MBalan101) 14 липня 2018 р.
Anyways, wasn’t it great to see the duchesses together at last?